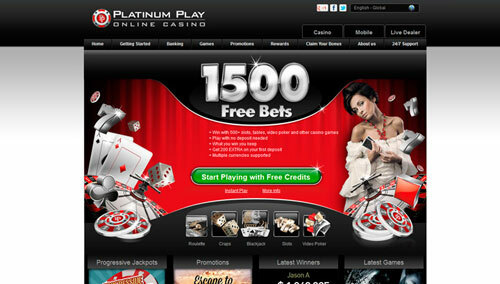 Platinum Play Casino - New Players Get NZ$1000 + 50 Free Spins! Up to NZ$1000 + 50 Free Spins! 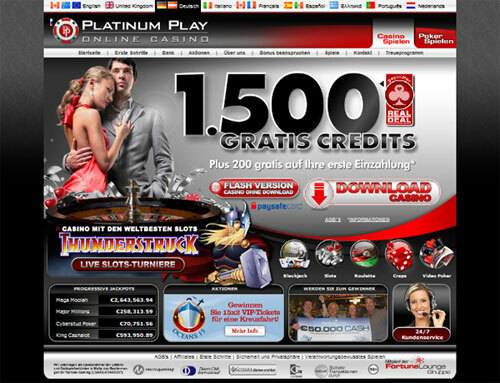 Platinum Play Casino was founded in 2004 and is part of the Fortune Lounge Group, one of the world’s most reputable online casino groups. The casino is licensed in Malta and uses the famous Micrograming software brand for its games. To ensure player security, Platinum Play uses 128-bit SSL encryption. The casino has received numerous awards over the years, including “Best Online Casino” by 1 High Roller. They have an eCOGRA Safe & Fair certificate, which certifies the fairness of their games and good treatment of players. The average payout rate across all games was 95.74% according to the last audit. Those who sign up to play at this casino will get access to many generous promotions and bonus offers. New players get NZ$1000 Bonus; 100% match bonus for up to NZ$200 for 5 first deposits plus 50 free spins. 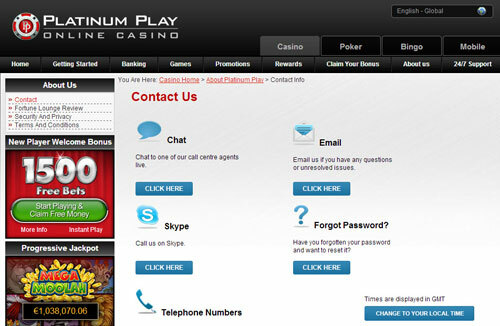 Platinum Play supports $NZ as a currency, which makes it easy for gamblers from New Zealand to play there. Various payment methods, like credit and debit cards, Neteller and Skrill are available to players from New Zealand. Customer support can be reached online or by phone 24 hours a day. As a Microgaming casino, Platinum Play offers hundreds of different games, such as classic table games, pokies, video poker and more. 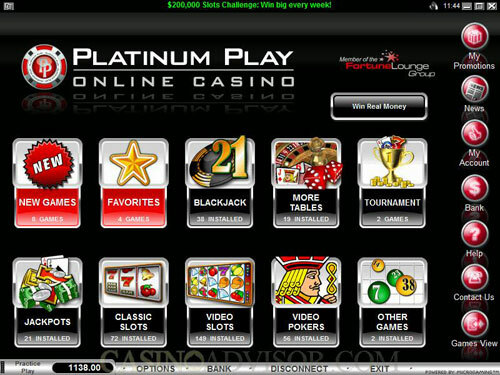 Players can download the casino software to play on a windows PC or use the instant play version in their browser. There is a live casino offering table games, as well as a mobile casino that works on most Android, iOS and BlackBerry devices. The most popular games at Platinum Play are currently their progressive pokies, as games like the Mega Moolah pokie can have jackpots that sometimes exceed several million dollars.